Showing results for tags 'vepr'. I have a IZ433 (so basically an Izmash made Vepr-12) and it was having issues running cheap birdshot. The main problem was I had my red dot placed right in the way of the ejecting shells, causing misfeeds. I moved the red dot to the rear of the receiver and that definitely improved my reliability, however I was still experiencing jams or misfeeds every couple of magazines. I polished up the rails, hammer, and the part of the bolt carrier that contacts the rails hoping to get the degree of reliability I wanted using light loads. Now I experience a jam maybe 3-4 times out of about 100 shells. I want to improve the reliability even more, however I have heard horror stories about saiga 12's and veprs that fall apart and start to peen if heavy loads such as buckshot and slugs are fired through them after they have been modified to run light loads. 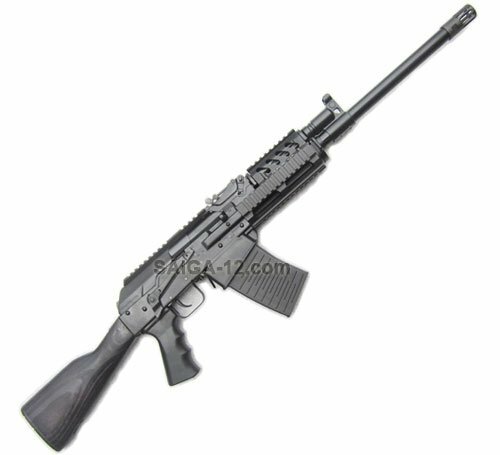 My understanding of the gas system used by the Vepr 12 and IZ433 is that its basically a saiga 12 with the gas all the way open. Is it a good idea to put in a lighter recoil spring (i've seen aftermarket springs available and have read that you can use 1911 recoil springs as well) if I run buckshot, buck & ball, and slugs regularly, or should I have 2 recoil spring setups one for light loads and the other for heavier stuff? Or maybe run one of the progressive 1911 recoil springs to hopefully reduce the wear on the gun with heavier loads? Started this project in another thread, and decided to give it it's own thread to keep that one from getting too off topic. As opposed to buying a PSL, I decided to go for a Dragonov look with a stock 23" VEPR .308 that I had in the safe. I ordered a set of SVD furniture from Rhineland Arms in tiger maple, and did some modifying on the edges to suit my personal tastes: I wanted a wood cheek riser to replace the rubber one that came from RA. 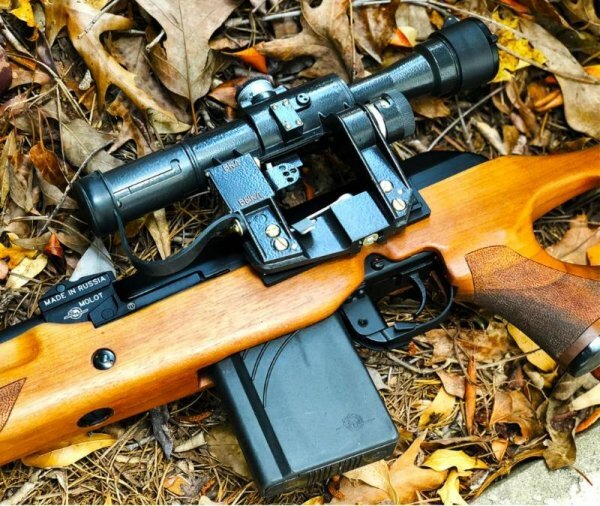 I ordered a top choice 18" tiger maple blank from BellForest woods for $10: I used an old UTG picatinny rail mount bipod that I modified to mount directly to the hand guard close to the receiver to reduce the potential of POI variances with the bipod down or shooting off hand with it up: VEPR with wood fitted and bipod attached: Next was to tackle the new cheek riser. I used a table saw and router to form the shape I wanted using the existing cheek riser as a template. Here is the stock with the rubber cheek riser before: And with the new cheek riser I fabricated: I used Aquafortis (Nitric & HCl acid with dissolved iron in it) to historically finish the tiger maple and make the vertical figure pop. It was the first time I have used it and there is a learning curve...the first being when applying heat to get the iron to blush, a hair dryer takes too long and a propane torch runs the risk of charring the surface. I see a heat gun purchase in my near future. Still it turned out pretty well: Run out of room for pics on this post. Next post will cover finishing the Aquafortis with Tru-oil. Hello all, I have a few questions regarding the parts for conversions and modification of some magazines for LRBHO. First: Looking at the conversion kits at California Shooters Supply at my options for converting my newly purchased IZ-433, and I have some concerns about the trigger guard. I don't really see any information showing if either of the trigger guard options will interfere with the tab up front for the mag well. 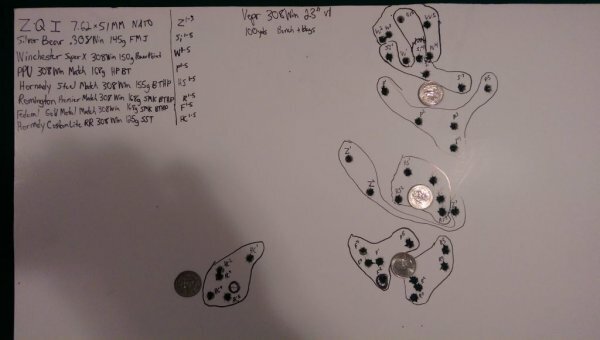 I would imagine the answer is no, but I have no way to make a real mock up other than to use the pins in the receiver for an approximate of where the trigger guard will end up. The trapezoidal one (Tromix DIY) looks neat and seems to offer more space for gloved fingers, but would get pretty close to my magwell and reduce the overall space for the mag release tab. Here is the proposed kit. Does anyone see any problems/compatibility issues or am I over analyzing this? Here's the second project: (Note: I am aware that there are magwell magazines, but I got 4 new mags for just under the price of two 10 rounders) I got a killer deal on some SGM 12 rounders, so I decided I'd sacrifice one in the name of being poor (ironic right?) 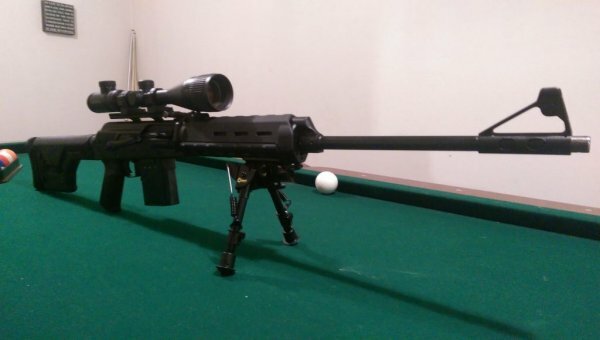 and see if I can get it to work with my gun like some of the other people in the forums have done. With a dremel/file and some eyeballing it locks in perfectly with very little side play and no wiggling front to back. It basically sits in the same position as my factory mag. Here's the mags side by side, the angling was a little tricky and ended up involving lots of time with my file. After enjoying a brief victory, I noticed that these SGM magazines do not have a BHO. So while I made myself a little notch for the BHO lever, I need to figure out a way to get the SGM followers to engage the BHO lever or just replace them outright. Each option has its problems. If I were to keep the stock follower, I would have to add a bho tab that would need to physically extend past the top of the follower about 1/4 inch to properly engage the BHO. Some late night garage experiments were promising with small pieces of steel picture hanger hooks, but the looseness of the follower caused the thin piece of steel to move forward and not properly engage the BHO. I have found several other donor pieces of metal that could possibly serve as tabs to engage the BHO latch listed below: A salvaged PSU heatsink, a CPU heatsink, a bracket for a recessed light and a thin piece of spring steel that is just the right width of the follower and with the perfect curve and pre punched holes that would work for rivets. I have three options for mounting it onto the follower, one being to glue it, which would work pretty good if I decide to use more polymer, or maybe alright for metal, but ideally I'd either use the small slit I made in the picture below to fold a piece of metal inside and grip the plastic. (it worked very well for the picture hanger, until I snapped it after adjusting the length multiple times.) The last that I am thinking about is using rivets to secure it, and hoping that the channel will provide enough clearance and hopefully that the rest of the mag will not interfere with the attached piece. The last and easiest would be to just find followers with BHO and drop them in, which I have (so far) had no luck in locating. I noticed that the sgm followers are (as claimed) made from the original design, but have a few changes that vary it from the original. Pleasingly enough the follower from the factory 4 fits right in....except for these two little feet which I am guessing serve as anti tilt. As much as I would love to take the feet off or bend them in to test it. I don't want to risk messing a more expensive/rarer mag to make the common one operational. You can see what I am talking about below. So to wrap things up, while I am scratching my head trying to make heads or tails, has anyone seen or know of a place that sells followers with bho or does anyone have any suggestions that might help with this dilemma? 100yds from the bench. shooting for group size. Vepr .308, v1 sights, slantback. 6-18x44 Vortex Crossfire II. Vepr .308, v1 sights, slantback. 6-18x44 Vortex Crossfire II. CANIS Designs Stock adapter, and Magpul handguard adapter. CSSPECS 10rd Vepr 308 mags. If you could only keep one? 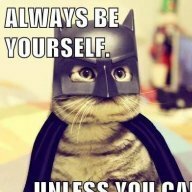 Spacehog posted a topic in General Discussion - Any topic is welcome here!!! Bought three rifles right before/at the sanctions. All three were bought for investment purposes: Now I want to keep them all. However common sense says to keep one and keep two unfired down the road for investment purposes. So which one do you keep? From left to right: VEPR 23" .308, Saiga 7.62x39 converted, or VEPR 16" 5.45x39? I love the wood on the VEPR 5.45 so regardless of whether I choose either the .308 or the 5.45, that wood is coming with the rifle. A little background.. I have multiple .308's but no AK format. 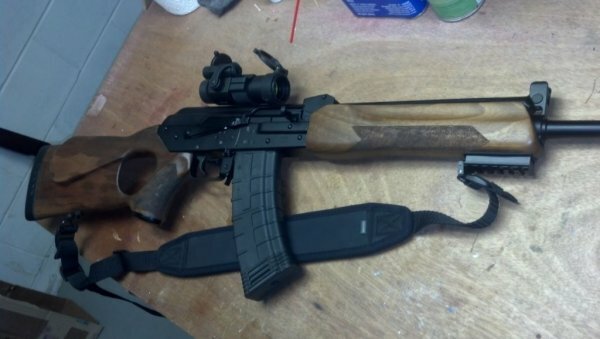 I have another Saiga 7.62x39, but not a full wood version. I also have two other rifles in this caliber, and have stocked up on ammo. Finally, have no 5.45x39 anything (including ammo). It would mean I would have to start stocking a new caliber in ammo for one rifle. This seems like a logical choice not to keep, but I love the looks. Thoughts, opinions? 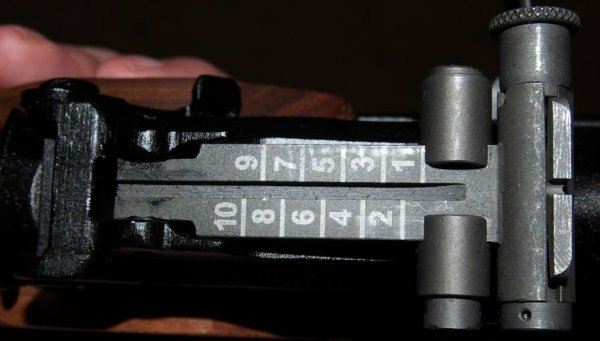 Just spotted this on Atlantic: https://www.atlanticfirearms.com/component/virtuemart/shipping-accessories/vepr-7-62x54r-20-round-magazine-detail.html?Itemid=0 I never though I'd see anything bigger than the 10s. I'll probably buy a pair or so. . . Can't wait! Mostly tame VEPR. Bullet guide / normal-capacity magazines, Primary Arms Red Dot on a Midwest Industries 30mm mount. Yep, I'm a lefty. From the album: Vepr54r 27"
Nice quality hand checkered foregrip. With wood this nice, I'll be unlikely to put anything polymer on it. Though I'll likely get a set of Ironwood's SVD wood just to have a nice spare. The rear sight. Has windage as well as elevation adjustments. 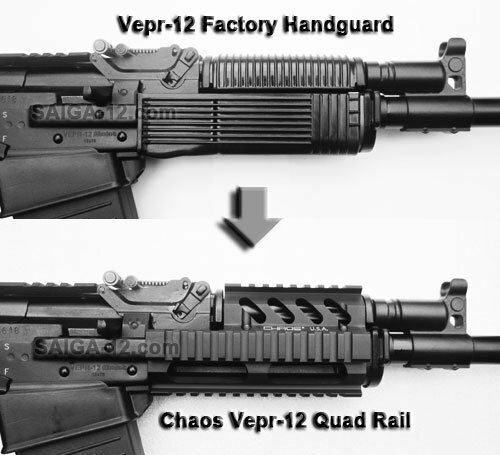 new Slantback Vepr 54r 27"
Greetings all, I'm looking to get some glass for my Vepr 7.62x54r, and have narrowed it down to 3 of the POSP options. I'd like some advice on pros/cons of the different ones. 3-9x42 from Kalinka, $330: http://kalinkaoptics.com/catalog/product/view/id/343/ 3-9x42V from Eastwave, $339: http://www.eastwavescope.com/index.php? ... 68&lang=en 4-8x42VD from Eastwave, $299: http://www.eastwavescope.com/index.php? ... 69&lang=en Is the zoom versatility between the 2 Eastwave options worth $40? If so, is there any significant difference between the two 3-9x42 options (other than the $9)? Any other options I should consider, or other vendors to look at? I'm specifically looking for the zoom capability and the large exit lens, and I want to stick with the side rail mount.